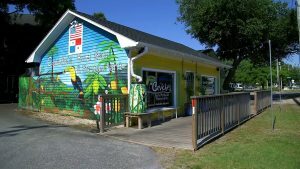 Motts Channel Seafood a locally owned, fresh fish and seafood market has been serving Wrightsville Beach locals and visitors for over 25 years. 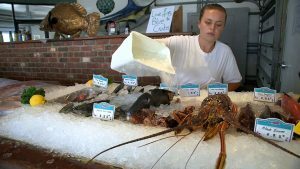 How fresh is fresh at Motts Channel Seafood? Look where we’re located! Our customers can see the fish come in off the boats and watch the staff prepare them. From Flounder to salmon steaks to fresh shrimp sorted by size, Motts Channel Seafood has it all and more. Need tips on how much to buy or how to store and prepare your seafood, The Mott’s Channel Seafood team will be happy to share their expertise. And if you need a sauce or other flavor enhancement products, we sell them, too! Recipes courtesy of Chef Scott Surratt.